Siete (7), often called Panqué (Pancake) in Rueda de Casino, is a very important basic move of just one eight count. Siete is one of a small group of moves not done walking the partner circle. Siete is done on the Guapea line, the East-West diameter of the circle, as if we are still doing Guapea. The following two videos give a good overall impression. The first in Spanish, the next in English. Note the small steps, and that Siete is special in the sense that it is not done walking the partner circle. We stay in place as if Siete was just another Guapea. Also note that follow’s left hand ends up on her right shoulder and is made available for the lead. It is nice that the lead honors that, by touching it gently: “good girl, I have seen it, but I don’t need it this time around, I am going to push you on your shoulder, but maybe next time”. Warning: there are other less good videos with this couple doing terrible back rocking. “I’am gonna wrap her in like a burrito”, or rather: a pancake. In both videos we have seen so far, the Follow does not twist her body just enough to look over her shoulder and into the eyes of the Lead, as I recommend in the following summary. Done on the line of Guapea. Lead stays in place as follow is wrapped. Absolutely no departure from the line and no changing places. Preparation: opening up on 7 and a tap. At advanced level the “wrap her in” hand movement can be enough. Follow must end up with left hand on top of right shoulder, making the hand available for the lead. In such a manner that the lead can see the hand and is able to grab it, if that is what he is up to instead of pushing. Follow must twist her body enough to look over her right shoulder to meet the eyes of the lead. Not just to connect but to pick up hints of what is going to happen next. Does he push or grab? The four points are true in the context of Rueda de Casino and class room practicing, and is how the move should be taught. 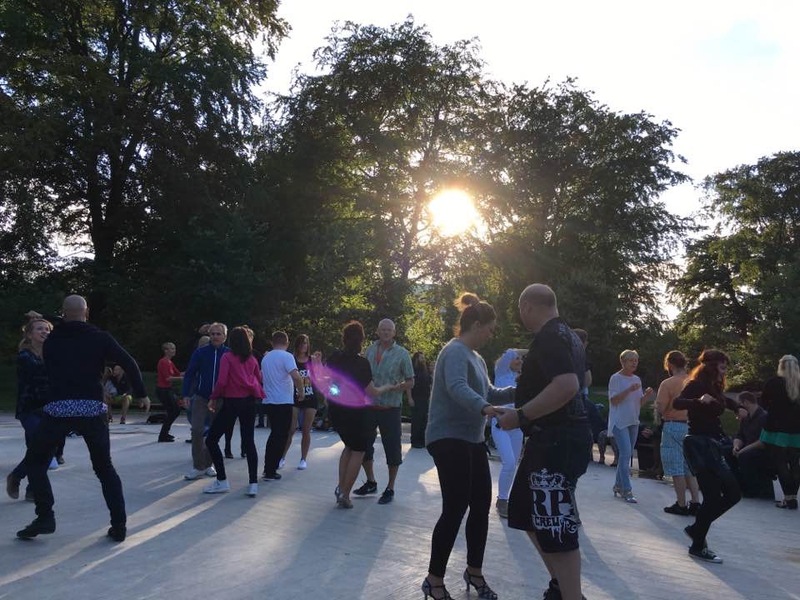 In experienced social dancing, we sometimes do the move naturally, without preparation. If taken by surprise, the Follow might not have the time to make her hand available, or to look over the shoulder. If the follow feels dizzy from too much turning, she can pull the brake by not making her hand available. Siete is surprisingly difficult until you have tried it many times. Even at intermediate level, if a follow hasn’t experienced it for a while, she is likely to end up one big question mark, when exposed to Siete in social dancing. Siete is almost certain to be called in a Rueda de Casino, typically under the alternative name Panque. Siete is unlike any other move, a category of its own. Wrapping in, wrapping out. Done right there is a wonderful feel to it, almost screaming for being repeated right away. Siete is the start of many intermediate and advanced moves, like Siete con Coca-Cola, Siete Moderno, Siete Loco. In other tutorials I will present all the good moves starting with Siete. 3 How common is Siete? In social dancing Siete is surprisingly rare except on advanced level. Leaders simply experience too often that followers react with surprise, and don’t know what to do, or end up doing it awkwardly. For that reason leaders at any level tend to drop using Siete and Siete based figures unless they face a strong follow or know that the follow can do it. The Lead must open op on count seven and tap on eight as in the start of Vacilala because Siete is a Vacilala stopped in the track. Not even the first part of Vacilala, walking a 360 degree turn on 1-2-3 is finished. The Follow is blocked from continuing when she has done 180 degrees. In Rueda de Casino there is a bad tendency to start Siete without proper preparation. This might work because the Rueda caller calls the move: Siete or Panque. Both Lead and Follow hear the caller, and that should theoretically be enough for preparation! No it is not! The Follow might not be that familiar with the move, or might not know the call. If you are sloppy in the Rueda you will soon get sloppy also in social dancing. We have exactly the same problem with Vacilala, when done in a Rueda. At advanced level, it is another story. Just like for Vacilala, we don’t need much prepping to do Siete, if the Follow is up to the task. The most important thing for followers to remember is that the left hand must land on top of own right shoulder and be available for the lead. Sad that “Ruedastandard.com” is capable of doing a move this wrong. First they use the naughty version of this very important basic move, the Lead sneaking up close behind the Follow. And they prefer to style the Follow’s left hand instead of making it available for the Lead. In most of the more than 50 videos I have found, the Follow has her hand on her left shoulder, as she should, but that isn’t enough. In too many videos it looks like the Follow knows she should go to her shoulder, but without understanding why. The important thing is to make the hand available for the lead. That is the Follow’s hand should not just go to the shoulder but the hand should go to the top of her shoulder and be made available to the Lead. That is, the Lead must be able to see it and to grab it, if that is what he wants to do. The Follow should twist her body exactly enough to look into the eyes of the Lead! Instead of pushing the Follow’s right shoulder gently as signal to unwrap, the Lead could “push clap” the Follow’s hand, if it is presented to the him in an inviting “clap me” manner. When a leader notice a “push clap” invitation, he can accept it or ignore it and just push the shoulder, or he can ignore it and grab the hand in order to continue like Siete Loco. I like the idea that a Follow can invite a Lead to do a move in a certain way, as long as the Lead can ignore the invitation and do the move exactly as he planned to do. Siete and Panque are exactly the same figure. You can call it Siete/Panque in social dancing, and Siete/Panque in the context of a Rueda. But there is a tendency to use Siete as a prefix when making figues starting with Siete (except that Panque is also sometimes used), just like Panque seems to be the preferred name for Siete in Rueda de Casino. Panque somehow signals “let us have some fun, let us take this Siete figure and give it a twist”, maybe just for the moment. What we see in the video is a sneak attack. Such attacks should never be called. A sneak attack is the most fun when done as a surprise. The Lead can do Siete/Panque with “sneak attack”, if he feels it is appropriate in the situation with exactly that Follow. Use it only with friends and partners you feel will accept the fun for what it is. 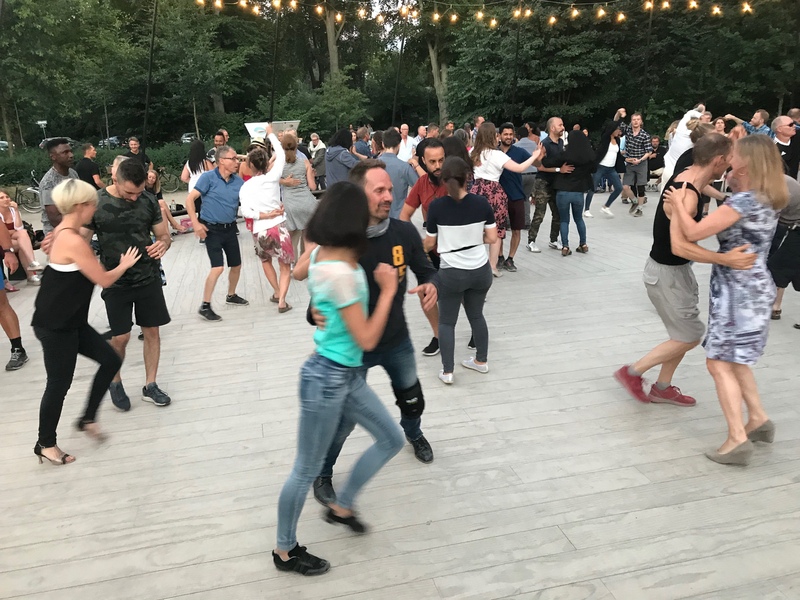 The following video have four great examples of Siete used in social dancing, simulated in the class room, featuring Piotr Agassi Chajkowski and unknown follow. We start at 1.00. We have an example of Siete, Siete with sneak attack, Siete con Coca Cola, and even a Siete out of nowhere: it just happens naturally with no preparation. Cuban Salsa doesn’t get any better. Subscribe to Agassi’s YouTube Channel. When I first saw the following two videos, I liked them, and I wanted to give them the benefit of the doubt. 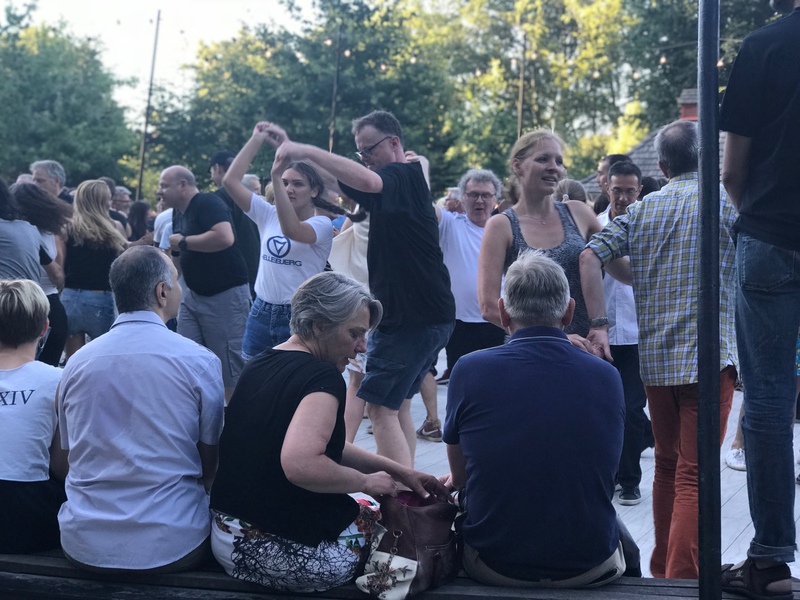 Almost anything done well is ok in social dancing. But the two videos are clearly meant for Rueda de Casino. Whenever you teach to beginner-intermediate level, get it as close to “how we should teach it” as possible. In both videos they don’t respect that Siete should be done as if doing another Guapea. That is the whole fun of the move: you do it from Guapea, execute it as a surprise, except for proper prepping (if necessary), as if still doing Guapea, and in a few split seconds you are back in Guapea as if nothing has happened. In the two videos the couple turns 90 degrees and almost change places! That is they start walking the periphery of the partner circle instead of using the East-West diameter. 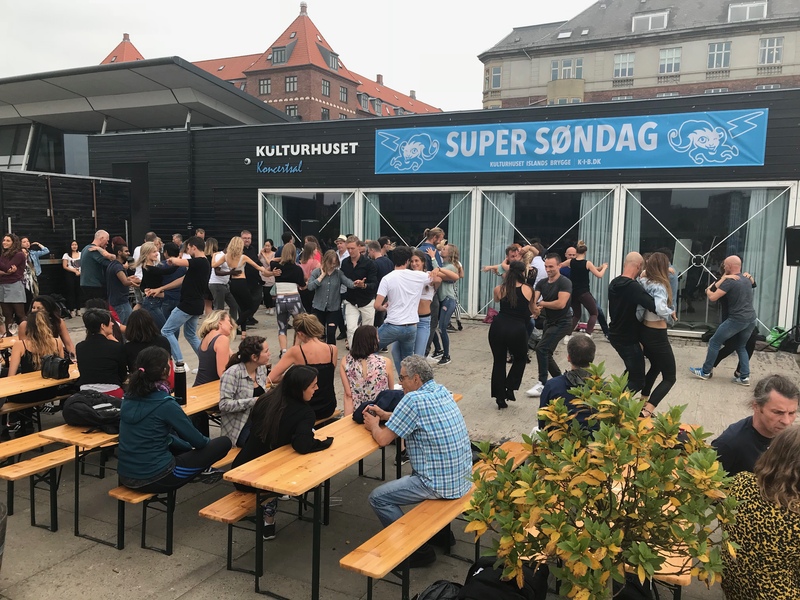 It works in social dancing but not in Rueda de Casino, where you are no longer synchronized with the other dancers unless they do it exactly the same. Except that the couple don’t respect the Guapea nature of the move and almost change places, I like this Dobromir Montauk guy. Very impressive style, a lot of power and energy in his dancing and leading. But it it not my style of dancing. My favorit Cuban Salsa video site, dancepapi.com, see my praise here: Dancepapi.com (USA, San Francisco), is even worse. The two instructors want us to believe, that the move starts from Dile Que No. It could be done that way, but it is much more common from Guapea. She has not received much formal training and rarely participates in Rueda de Casino. She is also likely to have little understanding about how to follow. Conclusion: I must drop all the nice moves starting with Siete, and all moves that require a strong Follow. But I will give her my very best dance respecting her level. If she is doing Siete, the most simple of moves, spot on, there is one big smile om my face, and I can’t wait to continue doing my best moves.